Not too long ago, I tried to bring attention to how little of the jQuery library many developers actually use and argue that frontend developers should consider what sort of improvements their users would see if they could compile their code with the Advanced mode of the Closure Compiler. Today I would like to further that argument by taking a look at TargetAlert, my browser extension that I re-released this week for Chrome. I include this to demonstrate that there was no effort to re-implement parts of the Closure Library in order to save bytes. 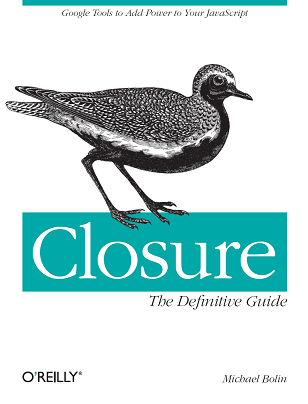 On the contrary, one of the primary reasons to use Closure is that you can write code in a natural, more readable way (which may be slightly more verbose), and make the Compiler responsible for minification. Although competitions like JS1K are fun and I'm amazed to see how small JS can get when it is hand-optimized, even the first winner of JS1K, Marijn Haverbeke, admits, "In terms of productivity, this is an awful way of coding." When deploying a packaged browser extension, there are no caching benefits to consider: if your extension includes a copy of jQuery, then it adds an extra 30K to the user's download, even when gzipped. To avoid this, your extension could reference https://ajax.googleapis.com/ajax/libs/jquery/1.6.1/jquery.min.js (or equivalent) from its code, but then it may not work when offline. Bear in mind that in some parts of the world (including the US! think about data plans for tablets), users have quotas for how much data they download, so you're helping them save a little money if you can package your resources more efficiently. Further, if your browser extension has a content script that runs on every page, keeping your JS small reduces the amount of code that will be executed on every page load, minimizing the impact of your extension on the user's browsing experience. As users may have many extensions installed, if everyone starts including an extra 30K of JS, then this additional tax can really start to add up! Maybe it's time you gave Closure a good look, if you haven't already.